HILL CITY, S.D. - The Custer/Edgemont Wrestling team captured a well-earned Black Hills Conference championship crown at the conference wrestling tournament Saturday. Custer/Edgemont sent six wrestling into the finals, where three champions were crowned. They were Logan Graf at 106 pounds, Chance Grill at 152 and Micaiah Grace at 170. Last year's champion Spearfish came in second, with Lead-Deadwood in third and Hot Springs placing fourth. Spearfish sent four grapplers to the championship matches, and all four placed first. They were Clay Donovan at 113, Oakley Blakeman at 120, Max Sailor at 132 and Evan Hehr. In other wrestling action, Philip crowned five individual champions at the Badlands Brawl in Kadoka. The Scotties placed first in the team standings with 103.5 points. Bennett County was second with 59.5 and Newell was third with a team score of 42. Ryker Peterson at 113 pounds, Hunter Peterson at 145, Colby Fitch at 152, Tegu nSpring at 170 and Cody Donnelly at 195 all won titles for the Scotties. 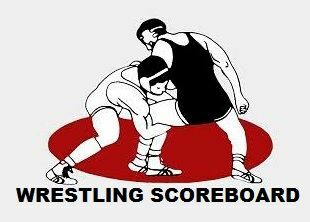 Next weekend is the Class A and Class B Region Wresting Tournament -- the final roundup before the State Tournament.